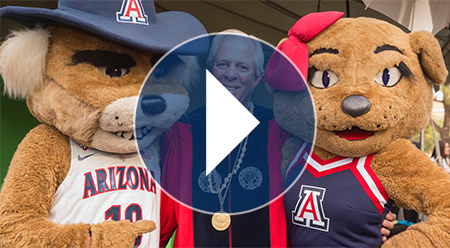 It has been a great year at the University of Arizona and the Alumni Association. 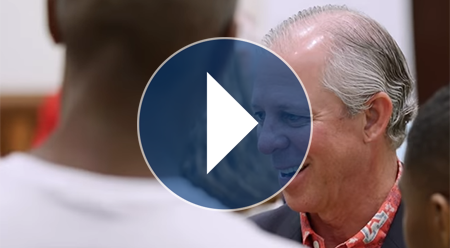 Watch this year’s online report to learn more about the impact alumni make on the university. Thank you to our members and donors who have made it possible for the UAAA to build an active and engaged alumni community committed to advancing the university. You support helps us provide scholarships to students, expand our Career Lab, support student retention, and improve our campus landscape with legacy benches. We also celebrate a nearly $400,000 gift from the class of 1967. Scroll the page to learn more about this year's highlights — Gallup poll results, welcoming UA President Robert C. Robbins, and the Alumni Heritage Society launch. 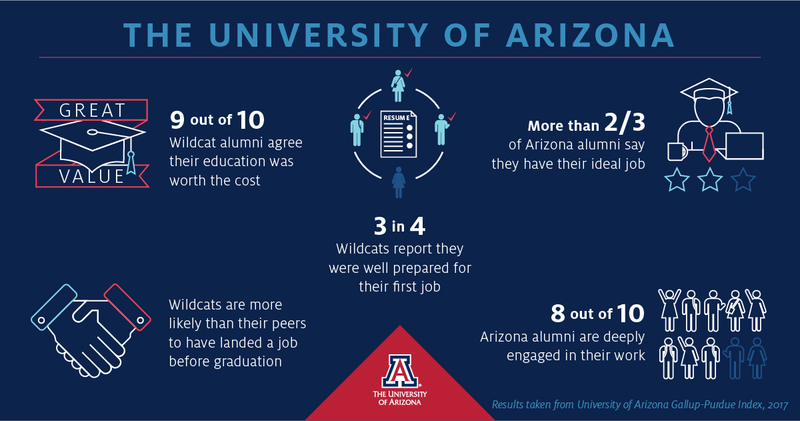 UA produces happier, healthier and more successful graduates who remain more emotionally attached to their alma mater than graduates from peer universities. Results from the Gallup Survey show that UA alumni are significantly more likely than graduates from other universities to be thriving in each element of well-being — purpose, social, financial, community and physical. To download survey results and read more, visit gallup.arizona.edu. Alumni welcomed the university’s 22nd president, Dr. Robert C. Robbins, to the Wildcat family at events across the country this year. Take a look back in photos and video at his first months as president while meeting alumni and donors, interacting with faculty and staff and supporting student success. At Homecoming, the UAAA launched the Alumni Heritage Society in celebration of its 120th anniversary and to honor donors who make gifts to alumni programs and support the UAAA mission to advance the university by connecting and engaging Wildcats for Life. Learn more about the society and its founding members.